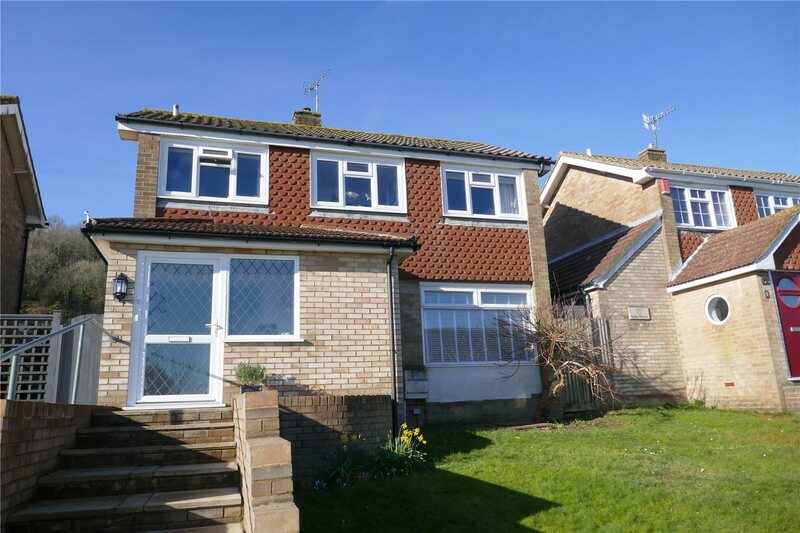 Commanding breathtaking views over Eastbourne to the sea and toward the downs. A beautifully presented detached three bedroom house with a delightful westerly garden with downland view. The accommodation has been substantially improved by the present owners who have created a delightful home. 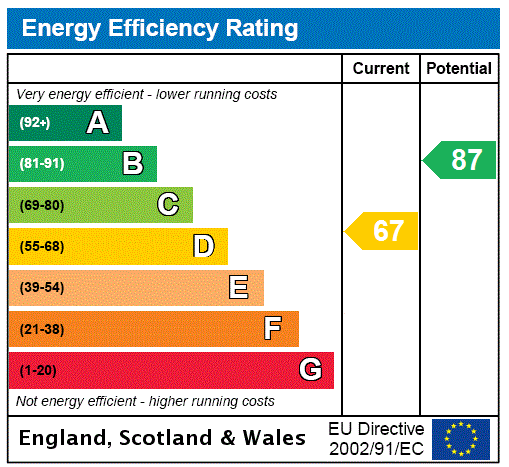 Only an inspection will convey the quality of the improvements that have been made in recent years. 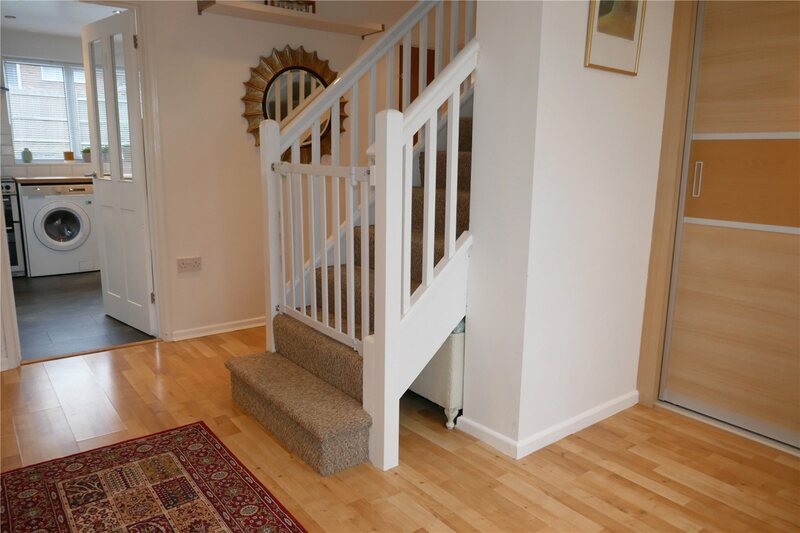 Spacious Reception Hall: 3.7m x 3.3m (12'3" x 10'9")approximately to include the depth of the stairwell and the large floor to ceiling built in storage cupboard, two additional storage cupboards, radiator. 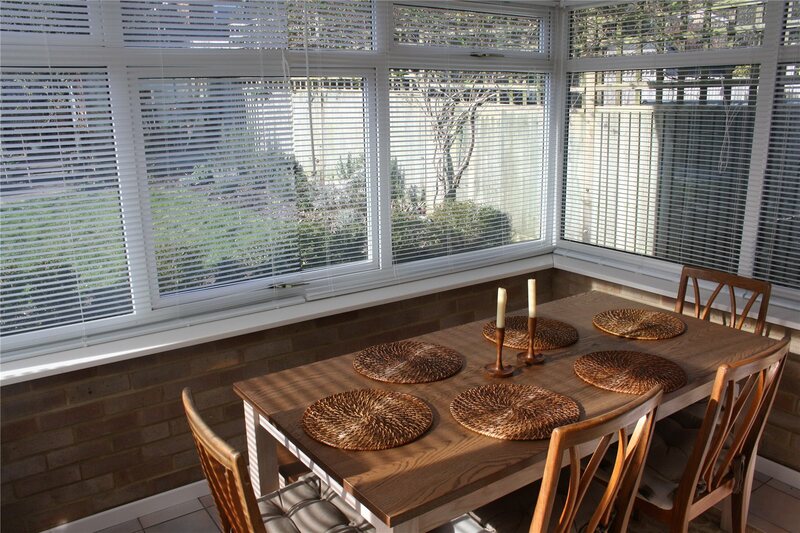 Conservatory/Dining Room: 3.1m x 2.1m (10'2" x 7')double glazed and with tiled floor, views toward the downs and door to garden. Refitted Kitchen: 3.1m x 2.8m (10'2" x 9'2")excluding the depth of the wide recess, extensive range of working surfaces with soft closing drawers and cupboards below with child safety magnetic locking system and matching range of wall cabinets over, inset china sink with drainer and mixer tap, plumbing for washing machine and dishwasher, space for oven with brushed steel finished filter hood over, concealed Vaillant wall mounted gas fired boiler, space for fridge/freezer, radiator, delightful westerly view toward the downs and double glazed door to the rear garden.The staircase rises from the reception hall to the first floor Landing with radiator and also affords an outstanding view. 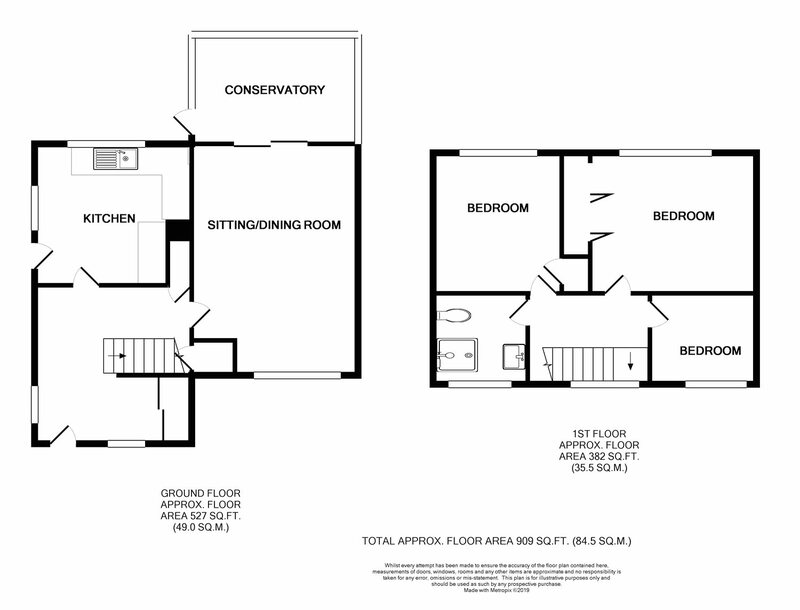 Bedroom 1: 3.6m x 3.0m (11'10" x 9'10")with range of built in wardrobe cupboards, radiator and fine downland view. Bedroom 2: 3.1m x 2.8m (10'0" x 9'3")with built in wardrobe cupboard, radiator and view toward the downs. Bedroom 3: 2.5m x 2.0m (8'2" x 6'8")with fine views to the sea, radiator. Spacious Shower Roomwith large shower unit, wash basin with cabinet below, low level wc, heated towel rail, window. OutsideA charming feature of this property is the extensively lawned garden arranged to the front and to the rear. The rear garden extends to a depth of about 50' securing a westerly aspect toward the downs. Arranged mainly to lawn there are borders containing a variety of ornamental plants and shrubs, a wide paved terrace flanks the rear elevation. Timber framed garden store and aluminium framed greenhouse. Garagesituated in the adjacent garage block and is the fourth garage from the left hand end.